This is a Rolex Ref. 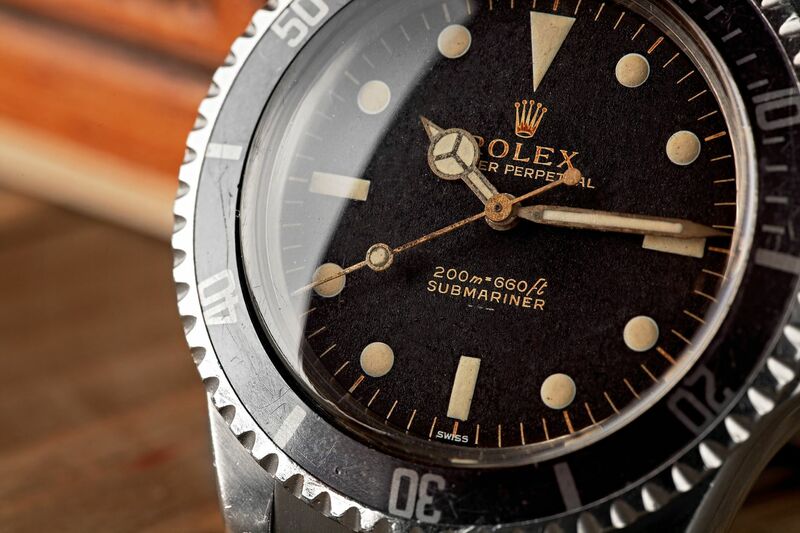 6538 James Bond Submariner Big Crown Gilt Tropical Dial, that according to Antiquorum’s grading system, is in exceptional condition, their highest ranking. It will be auctioned in Hong Kong on Saturday August 25th, 2012. The estimate range varies by fifteen grand, no small sum. This is because tropical dials can command a large a premium. 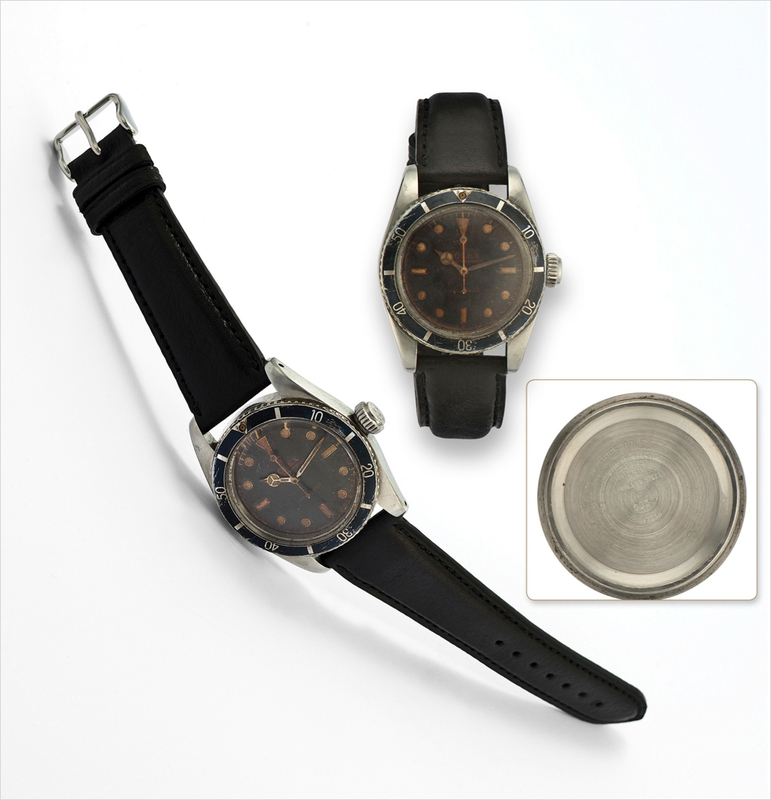 Made is 1958, this James Bond submariner, stainless steel case No. 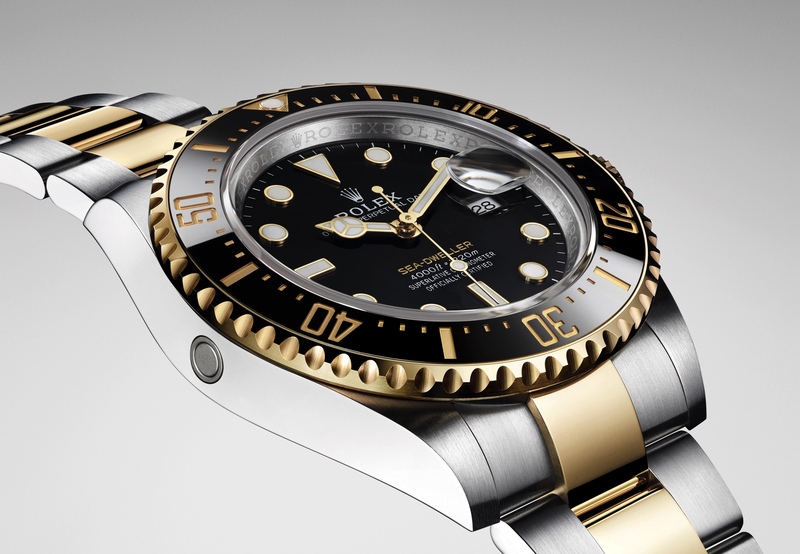 426136, is water-resistant to 200 meters (660ft). The self-winding caliber 1030, 25 jewel movement has a straight line lever escapement, monometallic balance, adjusted to 5 positions and temperatures, shock absorber, self-compensating Breguet balance spring, index regulator and butterfly rotor. The movement is in good condition, but an overhaul is recommended. Previous articleIWCJeremy Renner wears IWC in "The Bourne Legacy"